Michael is a technologically challenged senior living in a retirement home. One day he’s sitting in his living room throwing remote controls as his TV/DVR when Betta, an anthropomorphic computer program appears. As she continually gets unwanted technology upgrades, things spiral out of control. 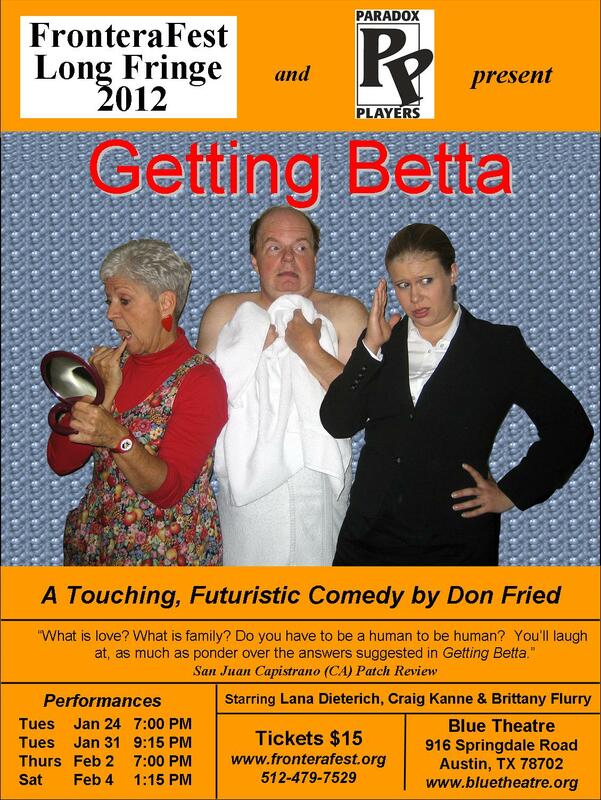 Getting Betta premiered simultaneously in Colorado and California in March, 2011. 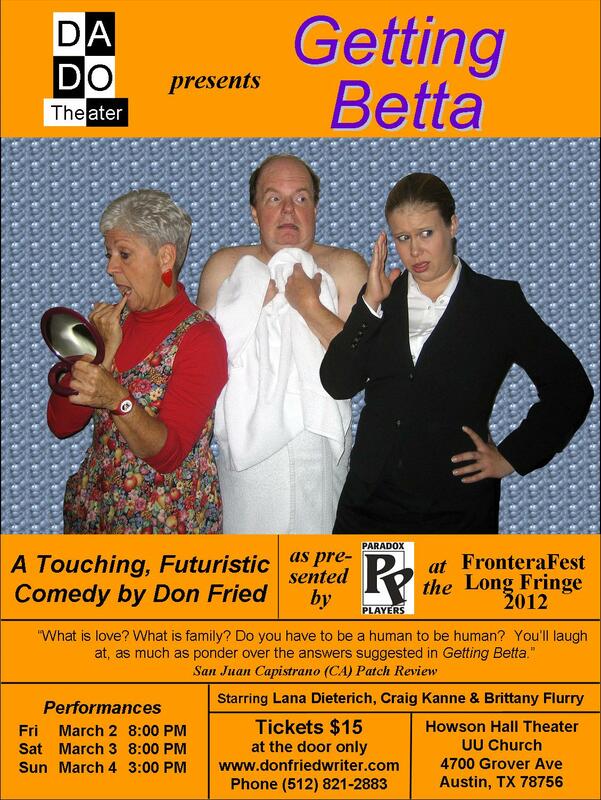 There are two runs in Austin; the first is at the Blue Theater as part of the FronteraFest Long Fringe, and the second is at the Howson Hall Theater. Take a look at the following posters.